David Lomet has been a principal researcher managing the Microsoft Research Database Group at Microsoft Research since 1995. Earlier, he spent seven and a half years at Digital Equipment Corporation. He has been at IBM Research in Yorktown and a Professor at Wang Institute. Dr. Lomet spent a sabbatical at University of Newcastle-upon-Tyne working with Brian Randell. He has a Computer Science Ph.D from the University of Pennsylvania. Dr. Lomet has done research and product development in architecture, programming languages, and distributed systems. His primary interest is database systems, focusing on access methods, concurrency control, and recovery. He is one of the inventors of the transaction concept and is an author of over 100 papers and 45 patents. Two papers won SIGMOD “best paper” awards. 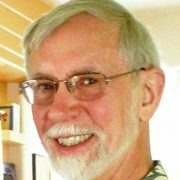 He received the 2010 SIGMOD Contributions Award for his work as editor-in-chief of the Data Engineering Bulletin since 1992. Dr. Lomet has served on program committees, including SIGMOD, PODS, VLDB, and ICDE. He was ICDE’2000 PC co-chair and VLDB 2006 PC core chair. He is a member of the ICDE Steering Committee and VLDB Board. He is a past editor of ACM TODS and the VLDB Journal. Dr. Lomet is IEEE Golden Core Member and has received IEEE Outstanding Contribution and Meritorious Service Awards. Dr. Lomet is a Fellow of the ACM, IEEE, and AAAS.